‘Another Sinister Twist to the Water Protests’. 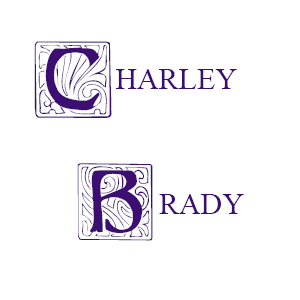 - Charley Brady - Opinons; My Own. ‘Another Sinister Twist to the Water Protests’. Yes; that is the actual, button-pressing headline they gave it. I’ve mentioned many times that the Irish Daily Mail is one of my favourite newspapers. I’m also rather fond of Ger Colleran at The Star, even when I’m not agreeing with him. And I’m aware that stating these preferences is alone reason enough to have my opinion dismissed by those who ‘take’ the broadsheets. I like the Mail because it has often taken strong stances on subjects that no one wanted to talk about. However, I am totally perplexed by its seemingly never-ending demonizing of the anti-water charge protestors. It appears to have been an editorial decision from early on to put the boot into us at every opportunity. Indeed, that was evident once more in an article that carried on into the editorial itself today (Tuesday 17th). As usual with these things it’s only now – nearly four months later – that we’re hearing about it. Yep; that’s right. It happened last October. And you WILL note that absolutely bugger-all happened. I’ll hold onto my sarcasm for a change. This story doesn’t deserve it. Dear oh dear. I swear, since I started objecting to paying more than once for this basic commodity I’ve been made to feel increasingly like a James Bond villain! It’s only a couple of months since a peaceful demonstration was not permitted to march up Kildare Street; and that was in order to demonstrate outside that big building full of money-grubbing politicians who seem to have forgotten that we pay them; and now God help us if more than three people congregate outside the home of one of the most incompetent chancers in Ireland. Honestly, if you had read the description today you would have thought a gang of blood-mad villagers with torches were chasing the Frankenstein Monster through the quiet countryside. Although, considering what he has made of Irish Water that might not be a bad analogy. It’s a pity that the same consideration and chest-beating isn’t being shown for the plight of the Irish citizen whose home really IS under constant, unending attacks; where every time the letter box opens there is fear; where every day is filled with worry and despair; where suicide is more and more seen as the only escape. And those who have elected to stand up to this corrupt government have had war declared on them. Look at the carefully organised and staggered series of dawn raids this week alone, meant purely to demoralize those who have dared –who have actually dared, actually had the temerity – to question their representatives. And all of this being done with the approval of not only selected newspapers which don’t even pretend to hide their biases, but by the police force of the people themselves. So no, don’t expect me to be sorry to hear that four months ago John Tierney had an evening’s discomfort; because you’ll be waiting a bloody long time. Oh, and by the way, seriously: is this the best they can come up with? In there last desperation to try and salvage whats left of the Titanic that is Irish Water, they grasped at the media, even the media can’t salvage them now Charley. Lets not panic, this super quango is history!! The media here have been profoundly disappointing, Patrick. I mean, O’Brien can’t run ALL the papers, can he? Whatever the reason, even the few with any guts are just parroting the Government stance at the moment — with, of course the honorable exception of the great Gene Kerrigan — and how he’s getting away with it at the Sunday Independent is beyond me! If he’s not careful he’ll end up in Wheatfields under 23 hour solitary lockdown with those other dangerous water protesters.